A pre-trip planning report is useful for helping me plan our holiday and how we plan to spend our days in Orlando, Florida. Along the way, I always hope that my ideas and tips can help you to plan your vacation to Walt Disney World too! 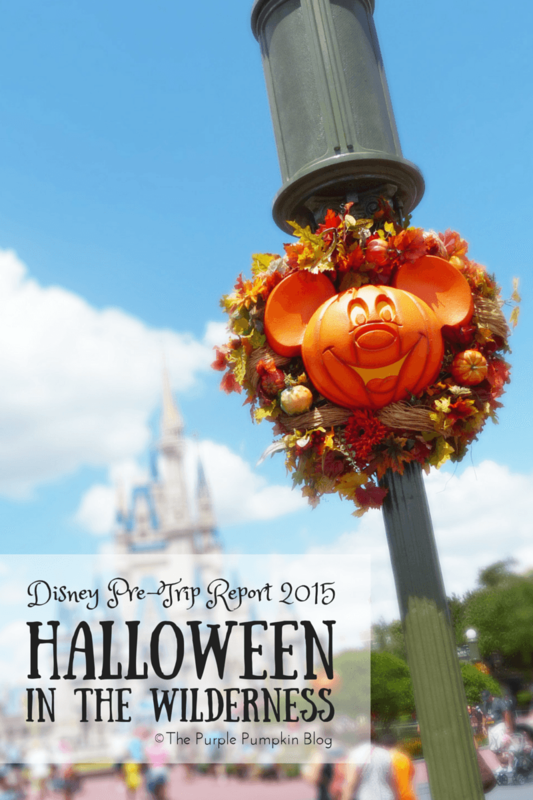 As it stands, we have the dates booked for October 2015, which means we will able to tick two things off our Disney Bucket List – visit Orlando at Halloween and go to Mickey’s Not So Scary Halloween Party! In fact, we’ll be able to tick a few more off that list, as we’re also going to be there for the Epcot Food & Wine Festival, hoping to catch the first Mickey’s Very Merry Christmas Party, and whilst it’s not camping at Fort Wilderness, we are staying at Disney’s Wilderness Lodge! The Cast Members – who were are! There’s No Place Like Home – where we are staying! Art of Animation – a two night stay! High In The Sky – how we’ll be getting there! Vroom Vroom – what we’ll be driving! Deluxe Disney Dining Plan – where we’ll be eating! Epcot Food & Wine – le noms!